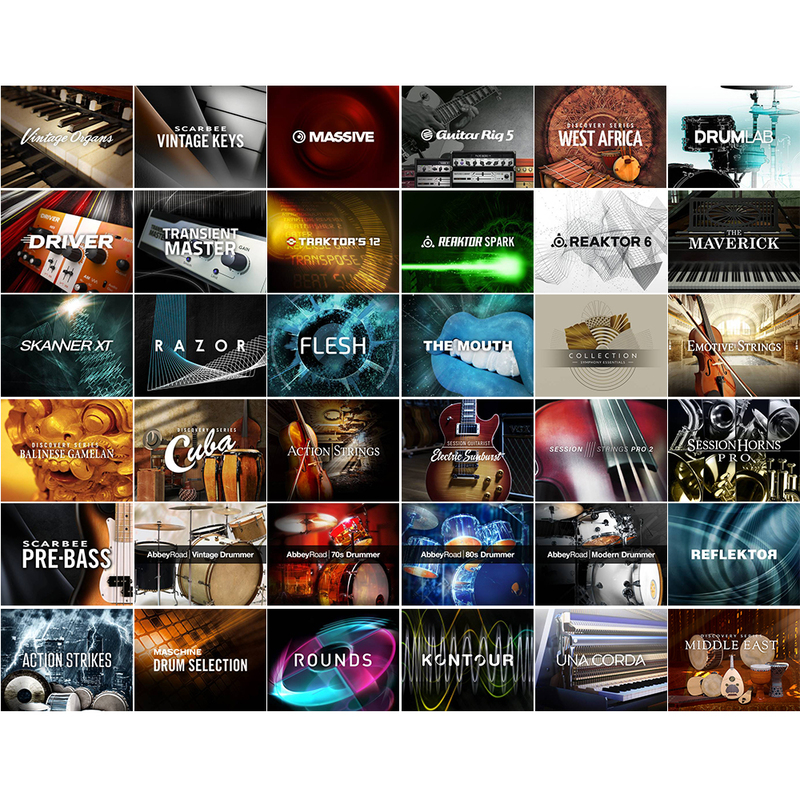 Since its release in 2003, KOMPLETE has undisputedly become an essential purchase for producers, musicians, and sound designers, by bundling a wide range of innovative and high-quality software instruments and effects at an unbeatable price. Each successive KOMPLETE generation offers artists a jolt of inspiration, and the biggest update ever, KOMPLETE 12, is no exception. 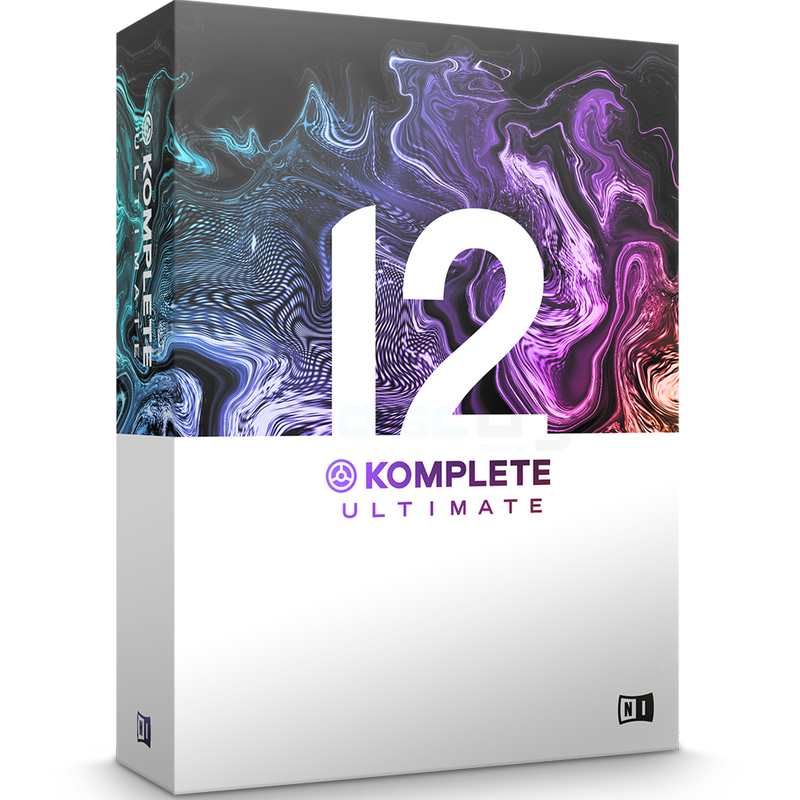 KOMPLETE 12 is available in four differently-sized packages: KOMPLETE 12, SELECT, ULTIMATE, and the new Collector’s Edition – a fifteenth anniversary celebration that packs 150 instruments, effects, and Expansions on to a silver aluminium HDD. New additions include KONTAKT 6, SESSION GUITARIST – ELECTRIC SUNBURST, the innovative kick and bass synth TRK-01, and for the first time ever, Expansions sound packs. KOMPLETE 12 also includes MASSIVE X – an entirely new instrument that honors and expands on the legacy of the legendary MASSIVE synthesizer. 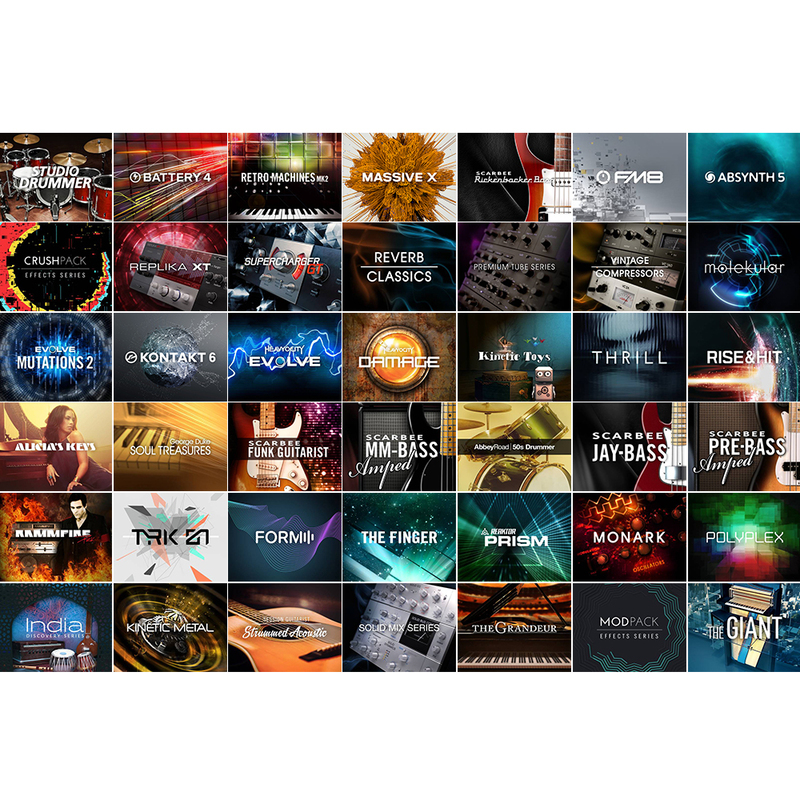 *Please note: This upgrade only works for users of KOMPLETE SELECT (included with KOMPLETE KONTROL S-SERIES keyboards and all MASCHINE hardware that includes MASCHINE 2 software), KONTAKT 1-6, SYMPHONY SERIES – COLLECTION, or SYMPHONY ESSENTIALS – COLLECTION.